When I planted the sunflower seeds almost three months ago, I had visions of tall and stately plants with yellow heads so full that they would bend over because of their weight. Instead, when I looked out the window into the backyard this morning, I saw that one of the short and spindly stems actually had a small bit of yellow color at its top. 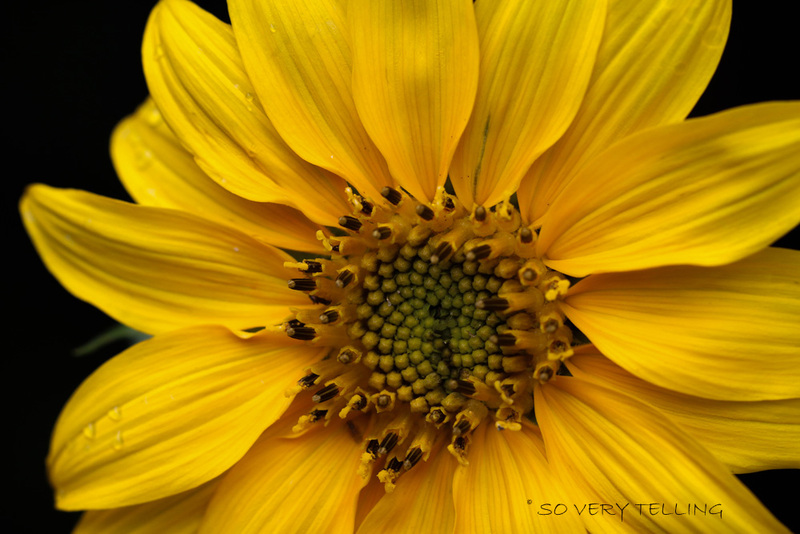 Upon walking outside to the sunflower plot and upon closer examination with my camera, I found a small, yet beautiful flower. This was not what I had expected. It was not what I had wanted. But I would have been disappointed in myself if I had let myself believe that this beautiful little sunflower bloom was not good enough. As I started to photograph the bloom, I quickly began to appreciate how beautiful and delicate it was. Don’t you agree?